6 Step Beauty Routine Every Women Needs! Summer nights are perfect for glitter makeup and smokey eyes… to make you shine! And you’re probably beating your face up for that party or dinner at your Tia’s house, but are you paying attention to what you do to your skin after the party? Waking up with foundation and mascara on your pillow is not fun, and neither is a break out from having those products on all night. Follow my guide below to get glowing skin for the summer even before the highlight touches those cheekbones. 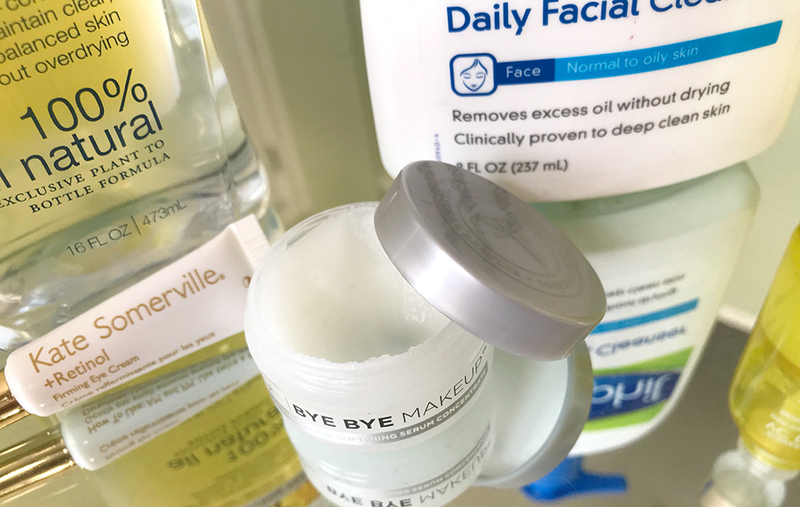 I prefer to use coconut oil or an oil-based makeup remover like the “Bye Bye Makeup Cleansing Balm” from It Cosmetics. Your makeup will slide off like manteca and after wiping it away with a warm wash cloth, your face will feel soft and smooth. Use a mild cleanser to wash your face. Only use foaming cleansers if you have oily skin, as it can cause dryness. Avoid using exfoliators with beads as those could be doing you AND the environment more harm than good. Pour some witch hazel on a round cotton pad and wipe gently all over the face. You might see some makeup remnants on the pad that might not have budged in the last steps. Not only will this ensure that you have a refreshed blank canvas, but it’ll also shrink your pores! Choose a serum that contains Vitamin C. I wish someone would have told me this years ago, because adding Vitamin C based products to your skincare routine will help diminish sun spots, even out your skin tone, and also helps collagen production. Applying a Vitamin C serum first allows it to penetrate your skin and make sure you receive all of those glowy benefits. 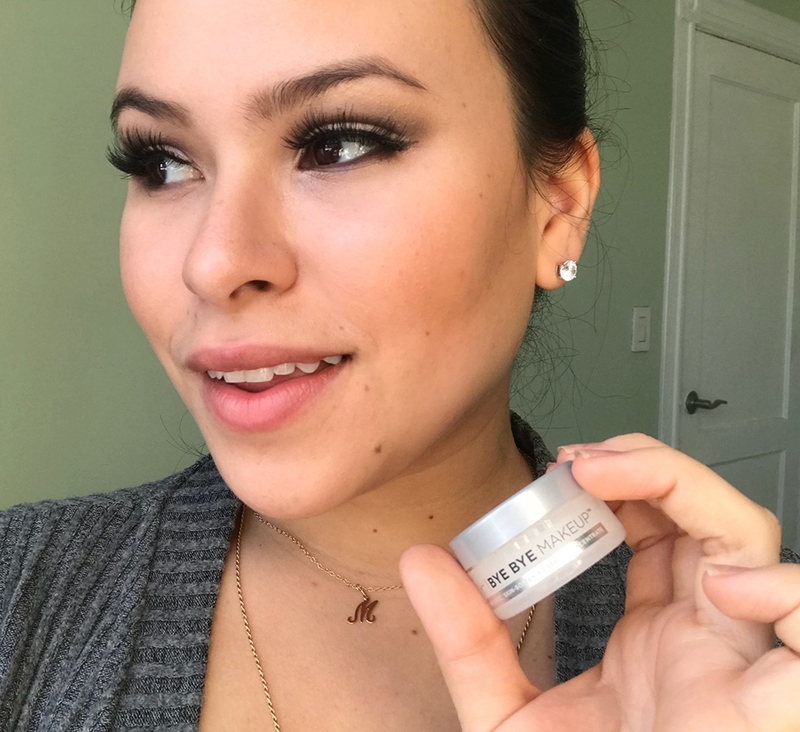 Step 5 – Don’t forget the eye cream! After staying up all night partying and drinking, your eyes will look sulken! Adding an eye cream to your routine and drinking plenty of water will help keep delicate skin around your eyes looking bright and healthy instead of looking like lumps of coal. Seal in all that goodness you just put on with a thick moisturizer. 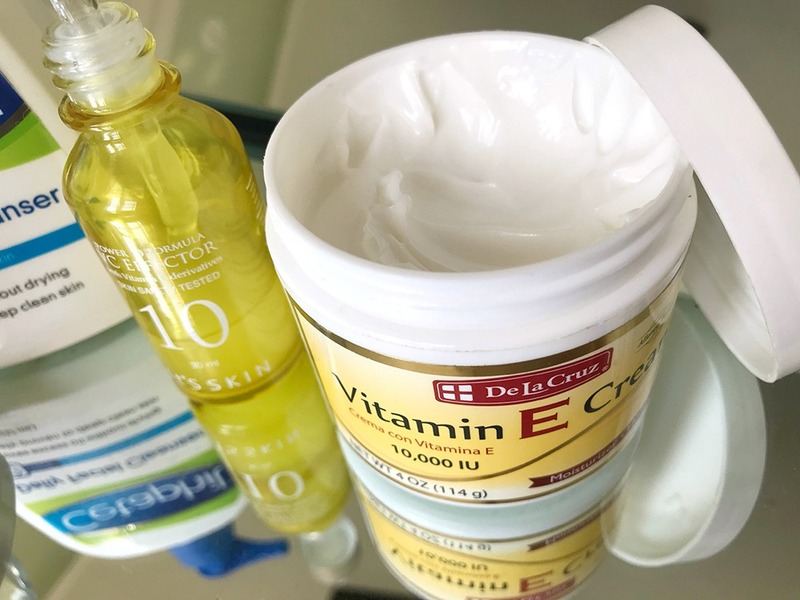 Make sure your moisturizer is working double time by having vitamin E, an antioxidant, anti-inflammatory, and anti-aging weapon like “De La Cruz Vitamin E Cream”. I hope this was just the guide you needed to get started on putting your best face forward this summer. If these tips worked for you, share it with me on Instagram by tagging #skincarebymeldez! About the author: Melanie is a proud Boricua blogger, model and entrepreneur living in New York City. 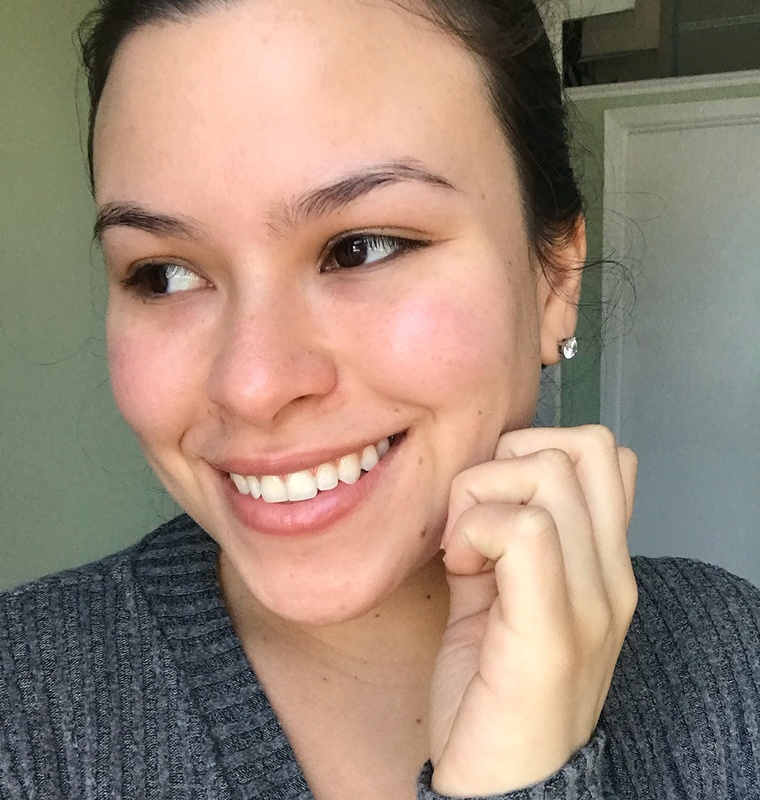 She loves shopping, facials and sharing her adventures on her Latina lifestyle blog TheMelDez.com and on Youtube. 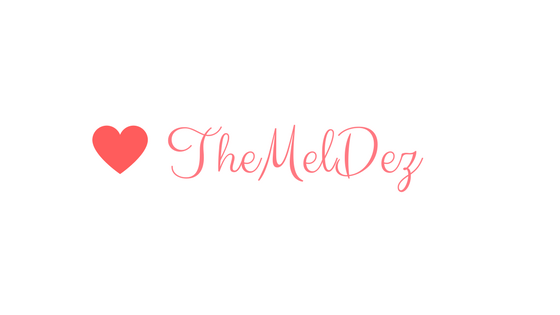 You can also follow her daily on Instagram @TheMelDez.